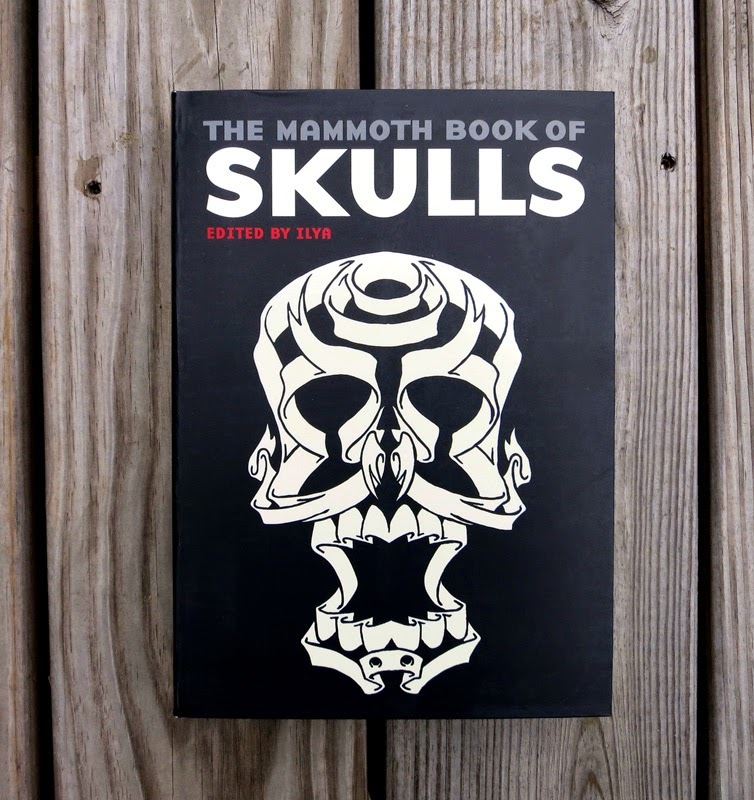 I'm honored to be one of the artists featured in The Mammoth Book of Skulls edited by writer/artist ILYA. 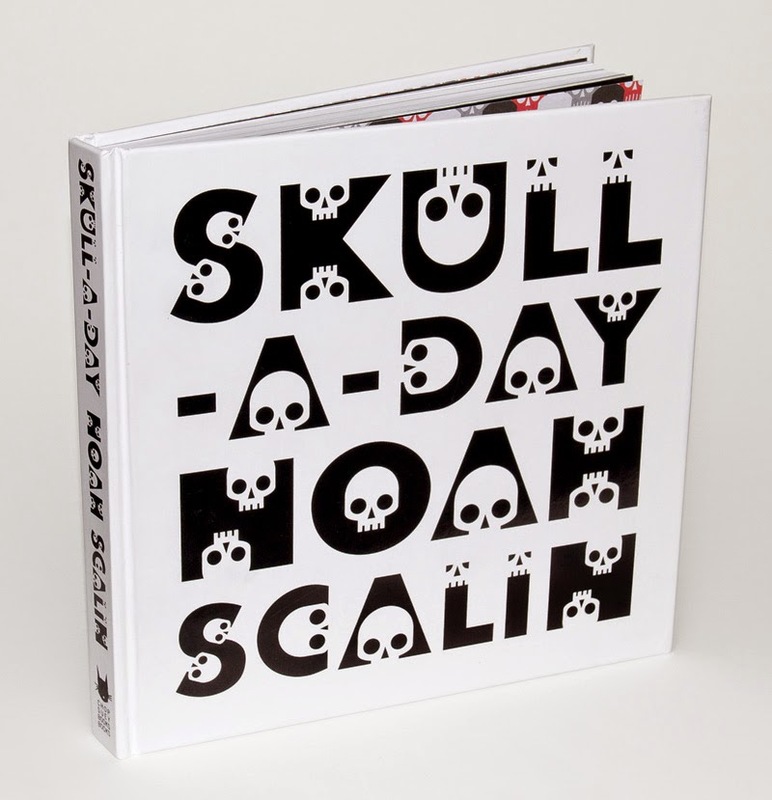 The hefty 448 page tome really lives up to its name and is a truly incredible collection of work. 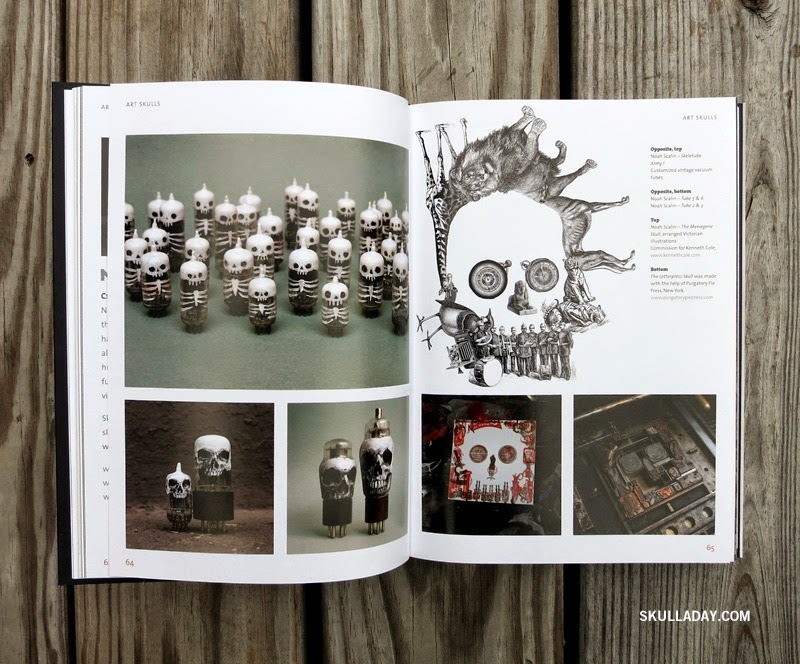 Below are just a few of the many spreads that include a range of my art from the original Skull-A-Day project as well as several other more recent works. 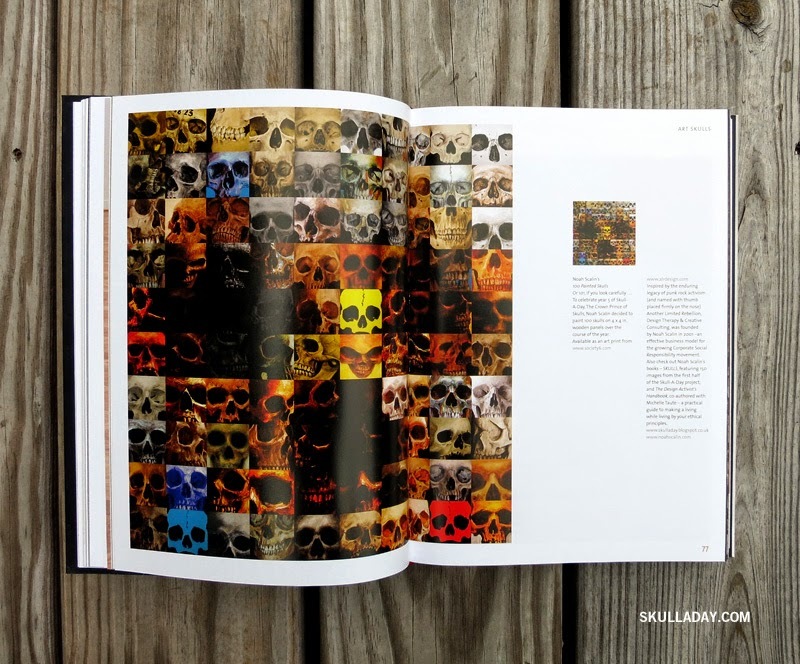 I highly recommend any fan of skull art to pick up their own copy. 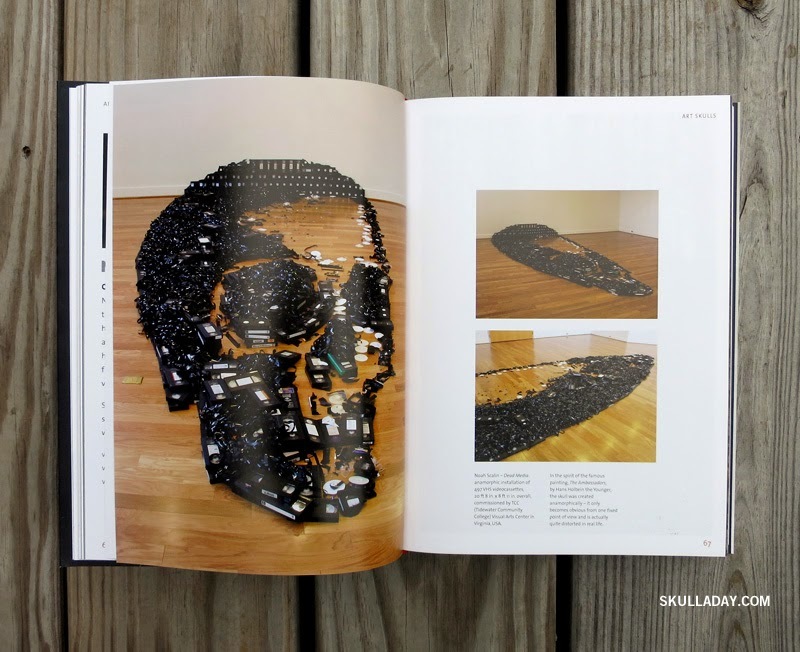 The book is available from your local independent bookstore or online in the US HERE and in the UK HERE. 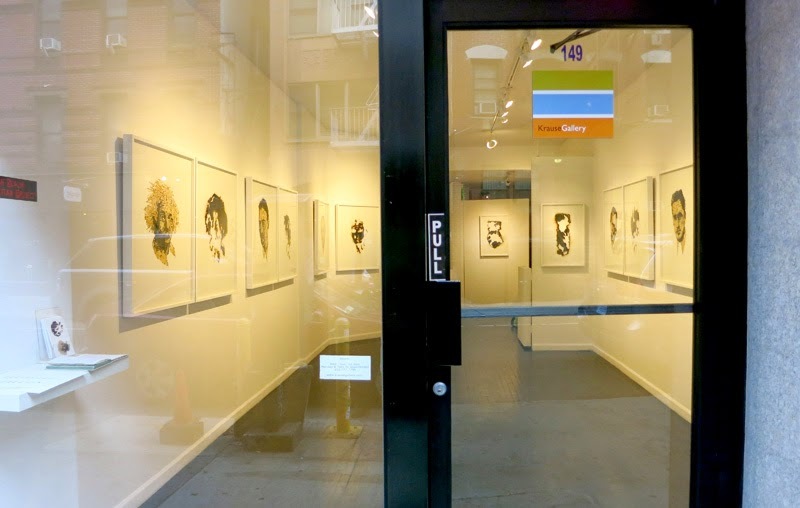 The event coincides with my exhibition of new portrait work: Manhattan Project. This is the official release party for the book at the bookstore that published it! 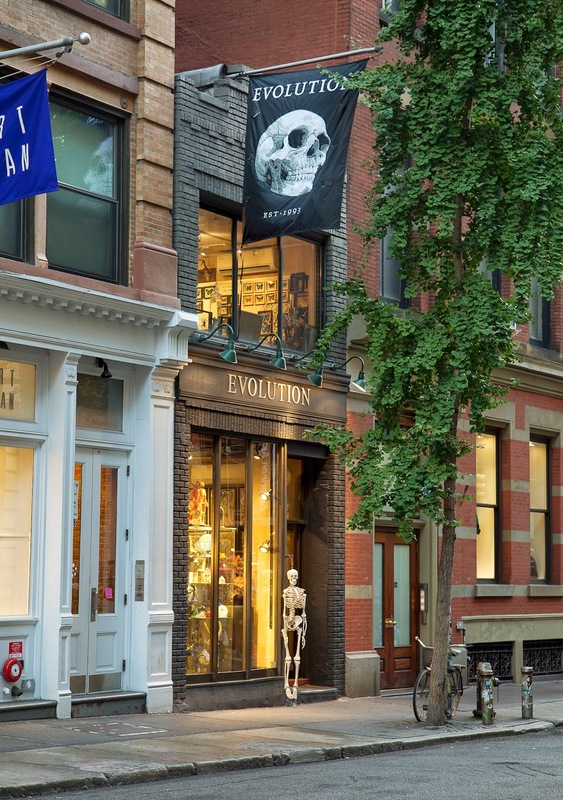 One of my favorite places in NYC, pick up an actual skull or two when you visit! 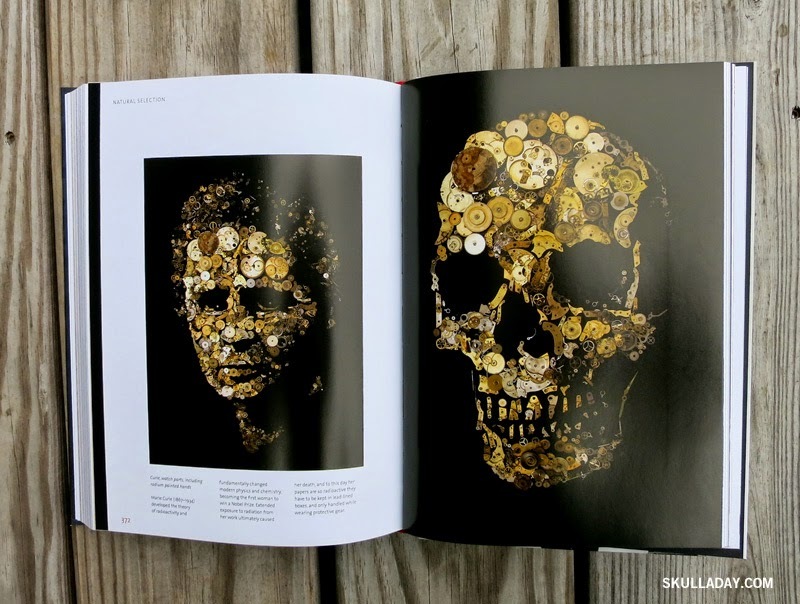 The Mütter's curator and longtime Skull-A-Day friend, Anna Dhody wrote the foreword to the book! 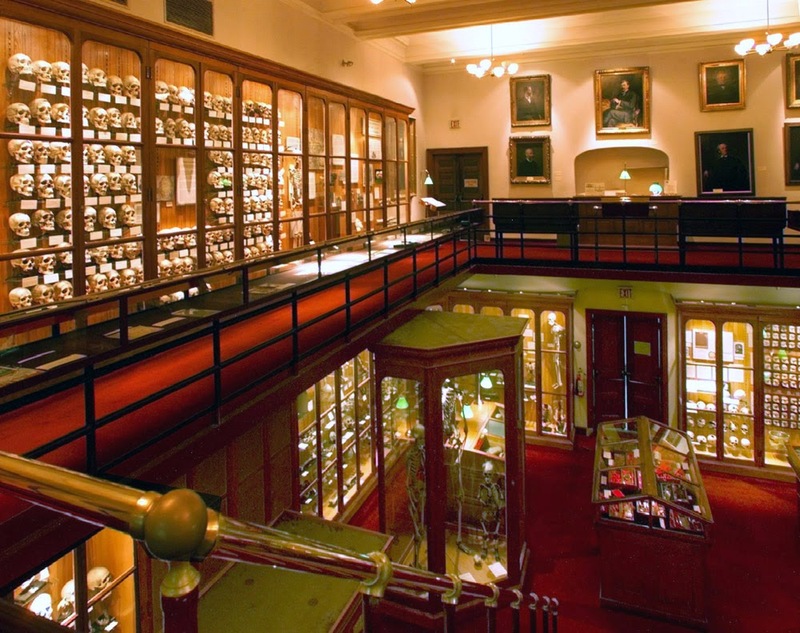 Stay tuned for future events in other cities later this year and in early 2015. 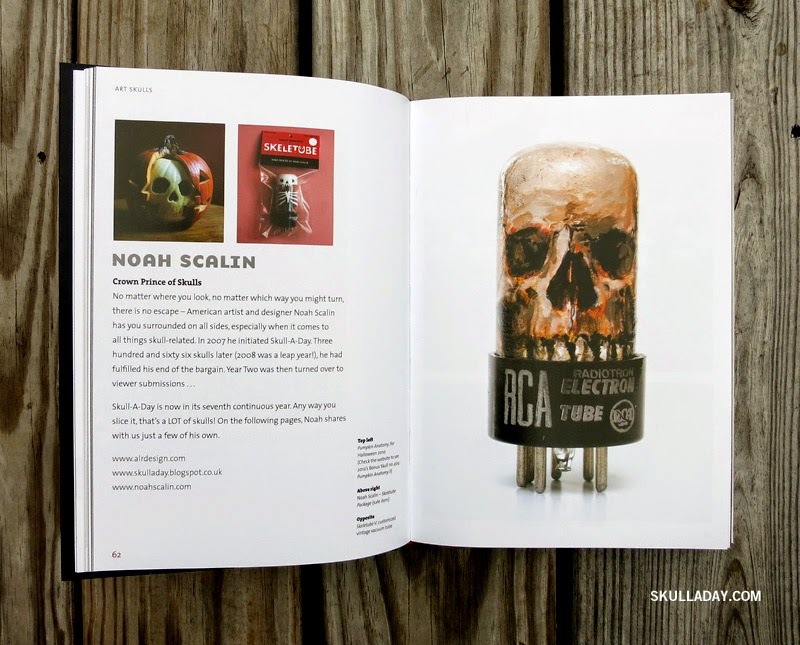 And hey, if you want us to visit your town and have a connection with a local bookstore or museum drop me a line. Hope to see you soon!